OGONIA ransomware uses sophisticated techniques to infiltrate computers and hide from its victims. Use Reimage to determine whether your system is infected and prevent the loss of your files. OGONIA virus is a newly discovered ransomware that was first spotted by a researcher Marcelo Rivero. 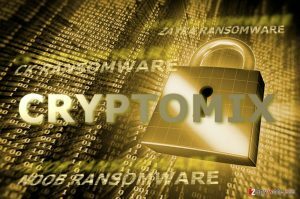 The ransomware belongs to CryptoMix malware group, and so it encrypts all victims files to demand a ransom. During the encryption, it adds .OGONIA extensions to file names and saves a text file called _HELP_INSTRUCTION.TXT. The virus doesn’t provide any information regarding the price of the decryption tool, or ways to obtain it. It agrees to provide it only to victims that write to cyber criminals. 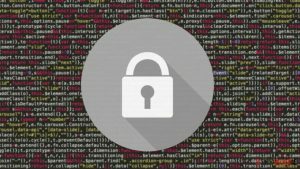 Unfortunately, we have to accept that there is no way to decrypt Ogonia files because the virus damages them with a powerful encryption algorithm that can be reversed only using a data decryption key. This key is kept in cyber criminals’ servers and sadly, there is no way to get it from there for free. That, however, doesn’t mean that you should listen to criminals’ demands and pay the ransom to them. It still doesn’t guarantee efficient data recovery. The criminals might steal your money and forget about you. 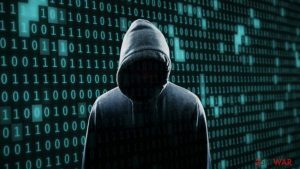 Besides, by paying a ransom, you would fund cyber criminals’ further projects and motivate them, meaning that there will be more cyber attacks and more victims. CryptoMix ransomware group has been growing since May of 2016 when initial version of the virus emerged. The latest versions of this virus use .CNC, .DG, .Mole03, .Noob and .Zayka file extensions, although there are much more different variants. If you were infected by the latest version, remove OGONIA immediately and test data recovery methods suggested below the article. You might want to use Reimage or Malwarebytes MalwarebytesCombo Cleaner for OGONIA removal. 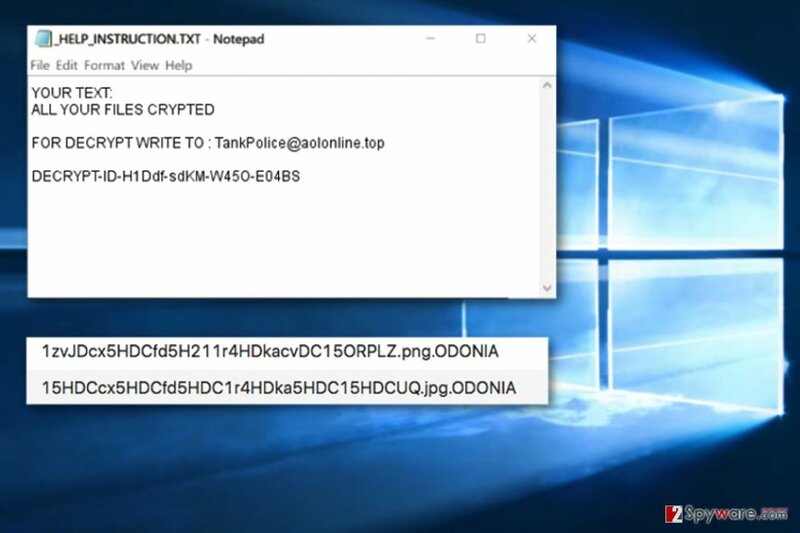 OGONIA virus is a new CryptoMix ransomware variant that encodes files and adds .OGONIA file extensions to them. The virus leaves _HELP_INSTRUCTION.TXT file with criminals' email address. All CryptoMix variants are known to be distributed using similar techniques, according to DieViren.de. The majority of them spread via spam, although part of them infect systems using exploit kits such as RIG EK. To protect yourself from ransomware attack, understand the fundamentals of ransomware distribution. Ransomware often travels in the form of a .ZIP, .JS, .RAR, .DOC or .DOCM file attachment via email. It can be entitled as an entirely legitimate file such as invoice, resume, receipt or another document. In addition, the attackers tend to hide file extensions to scatter victim’s suspicions and convince him to open the malicious file. We suggest you not to open any files or URLs transmitted by strangers. Keep your programs up-to-date. This will prevent the attackers from exploiting vulnerabilities in your software using exploit kits. Don’t browse through suspiciously looking Internet sites. Mainly, keep a distance from shady ads that appear on them. Remove OGONIA virus without delay using instructions we provide. Although users usually want to delete malware manually, investing in a good anti-malware software is a good idea. 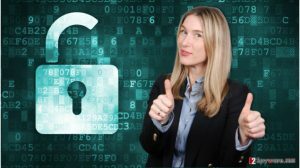 Ransomware is a highly sophisticated virus, and while you can eliminate spyware-type programs rather easily, ransom-demanding viruses are way more sneaky. They tend to consist of files named as legitimate ones; therefore it can be hard for you to identify them. A proper OGONIA removal requires anti-malware software. It scans the system for spyware/malware, identifies corrupted and fake programs and files associated with viruses and kills them instantly. However, you will need to prepare your PC for the cleanup, and this is why we have prepared these instructions for you. To eliminate Ogonia malware, follow the given steps. Log in to your infected account and start the browser. Download Reimage or other legitimate anti-spyware program. Update it before a full system scan and remove malicious files that belong to your ransomware and complete OGONIA removal. When a new window shows up, click Next and select your restore point that is prior the infiltration of OGONIA. After doing that, click Next. Once you restore your system to a previous date, download and scan your computer with Reimage and make sure that OGONIA removal is performed successfully. Guide which is presented above is supposed to help you remove OGONIA from your computer. To recover your encrypted files, we recommend using a detailed guide prepared by 2-spyware.com security experts. We suggest trying Data Recovery Pro for data restoration. Some time ago, AVAST has released a CryptoMix decryption tool. It might not succeed in decrypting all of the files, but it is worth trying it. ^ Tweet by Marcelo Rivero. Twitter. Social Network. ^ Ionut Arghire. RIG Exploit Kit Drops New CryptoMix Ransomware Variant. Security Week. IT Security News and Information Security News. This entry was posted on 2017-08-09 at 01:48 and is filed under Ransomware, Viruses. You can quickly scan the QR code with your mobile device and have OGONIA ransomware virus manual removal instructions right in your pocket. How did you remove OGONIA virus?